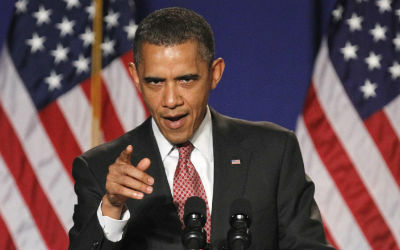 In a blunt rejoinder to congressional Republicans, President Obama called for $1.5 trillion in new taxes Monday. The president's proposal aims to reduce spending in mandatory benefit programs, including Medicare and Medicaid, by $580 billion. WASHINGTON (AP) — In a blunt rejoinder to congressional Republicans, President Barack Obama called for $1.5 trillion in new taxes Monday, part of a total 10-year deficit reduction package totaling more than $3 trillion. “We can’t just cut our way out of this hole,” the president said.